Pittsburgh: we have news that should excite you. And not like “returning beer cans at the grocery store and getting five dollars” excited. More like “drinking an ice-cold beer in a hot shower while someone grills steak outside” excited. A group of local beer enthusiasts is hoping to bring Pittsburgh Brew, a museum solely dedicated to, yes, beer. Want to help fulfill the laudable goal of a destination dedicated to helping people "understand all aspects of what it means to be human -- our sociology, our anthropology, our history, our economics, our politics"? Luckily, you can: the team launches its Indiegogo campaign on October 19th. Brew's official location will be decided once the fundraising campaign ends, though the stated goal is to build the 50,000sqft space within two miles of Downtown Pittsburgh, an area that already holds the Andy Warhol Museum, the Carnegie Science Center, and John Heinz Regional Historical Center. Possible exhibits include everything from "Baseball, America’s Pastime and Beer" to the much more vague and tantalizing "Beer Heroes and Villains." Additionally, in a stroke of genius, these folks decided to include… get ready… a 300-seat gastropub somewhere on the museum’s grounds. 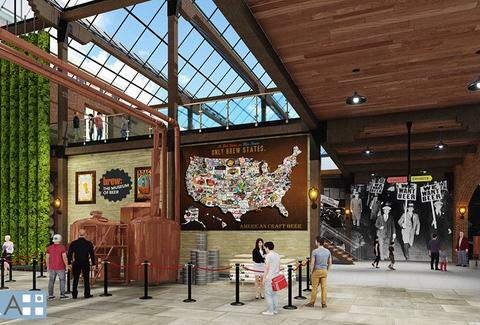 In other words, there’ll be a place to “sample the merchandise” amongst a (more or less) official beer hall of fame and a Brewers Wall, where every brewery currently in operation will be featured. A tall order in the boom or bust world of brewing, but we salute the effort. And yes, grandma, it will also have a gift shop. If you want to start celebrating Pittsburgh's greatest new museum in person and can't wait until the expected 2018 opening, the fundraising campaign's launch party will be on the 19th at James Street Gastropub. Bryan Kelly was just in Pittsburgh on a road trip to his hometown of Detroit, and fell hard for Liberty Ave. Smoking indoors should definitely be legal. Follow him on Instagram at @kellysbikerepair.